It matters everywhere else too, but I live in Utah. I have been working on an event that was funded by a grant from Pfizer through Heal Courageously. Pfizer has been working on being more involved with metastatic breast cancer awareness, which I appreciate. 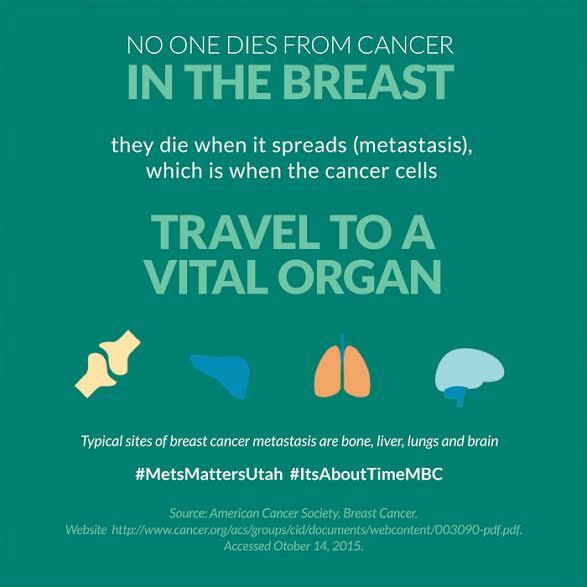 A (now) friend at Pfizer had mentioned she would really like to see an event in Utah for bloggers (of all shapes and sizes) where we had a really fun activity and also spread the message about metastatic breast cancer. People who have been exposed to breast cancer read breast cancer blogs, but when you want to reach a bigger audience you need to tap the shoulders of people who blog about things that are MUCH more fun. Like food, bowties, parenting, and all of those other bloggy things. I asked Michelle at Heal Courageously if she would be willing to help out on this project as Pfizer didn’t want to just send me a check (rude, I would totally just send me checks – send me ALL of the checks!). She graciously agreed (although I don’t think she knew what she was getting into). Michelle was my amazing mentor when I was in early stage treatment. She reached out when I was initially diagnosed and was my go-to person throughout treatment. 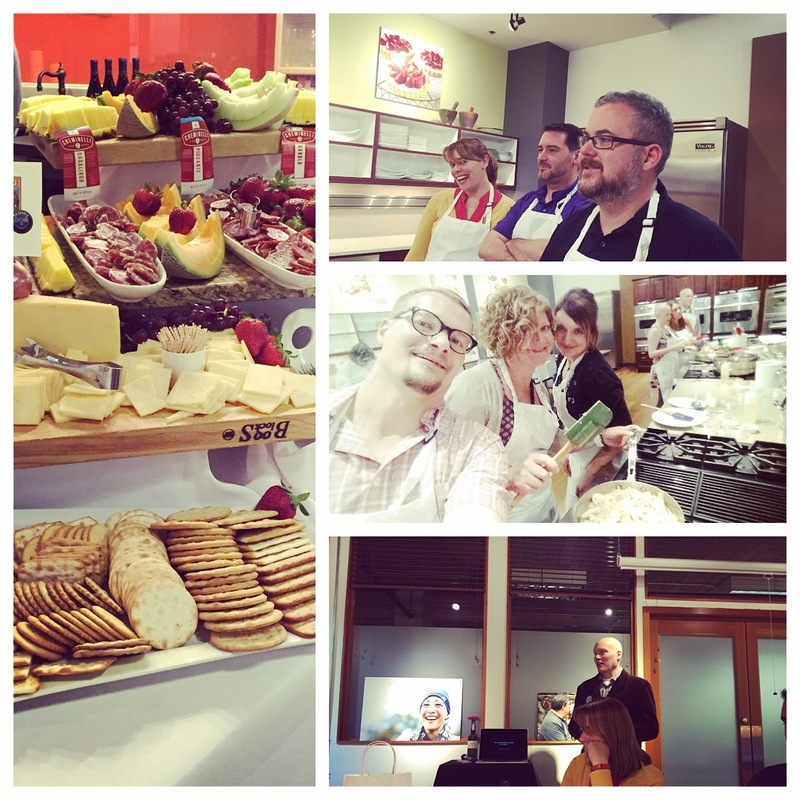 We decided to do a cooking class (I love cooking classes!). We have an event place here in Salt Lake that does them, so we did it there. I would give them credit, but part of the staff was really raunchy and rude with me (which means I maaaaaay have gotten a bit bratty, I can do that sometimes). I also was not as impressed with the meal we made (which is surprising because I took a cooking class there many years ago and it was amazing). They were also super unhelpful in a few ways (told us they had stuff that they didn’t, REALLY fought me on where I could put a g****** photo booth like it was the end of the world, kept trying to change the menus on me after I had people tell me what they wanted to do, waited until the last minute for a food list that the awesome Nicholas and Company got donated for us to help with the overall cost and then suddenly nickel and dimed us on stuff like oil because they don’t have that in the kitchen…), so I don’t really care to give them any love. Everything looked nice and the event was great, so that is what is important! The awesome company and the fun made up for all of the stupid. Alan Blood was kind enough to also be a speaker at the event, he came and told his story. I think one of the messages frequently missed in the world of breast cancer and metastatic breast cancer is the fact that men get breast cancer too. So I really appreciated him sharing. You can read about him at Male Breast Cancer Coalition here. Many of my friends write blogs and I have connected with various bloggers via social media over the years, so I knew a lot of people that came. I got to meet the ones that I didn’t, and I must say, we just had a super cool group of attendees. I felt bad as I would have moments of fatigue and pain induced grumps (hopefully people didn’t notice too much). Stage IV breast cancer is called metastatic breast cancer because the cancer cells metastasize to other organs in the body. 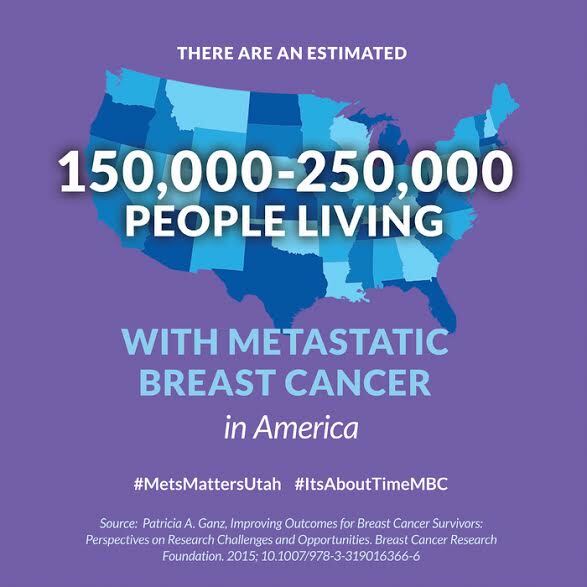 The primary locations for breast cancer to metastasize are bones, liver, lungs and brain. I joke that I won breast cancer bingo because I have cancer in all of the major places (and more, yay! – that yay was very sarcastic, 😉 ). Why such a wide disparity in the number? 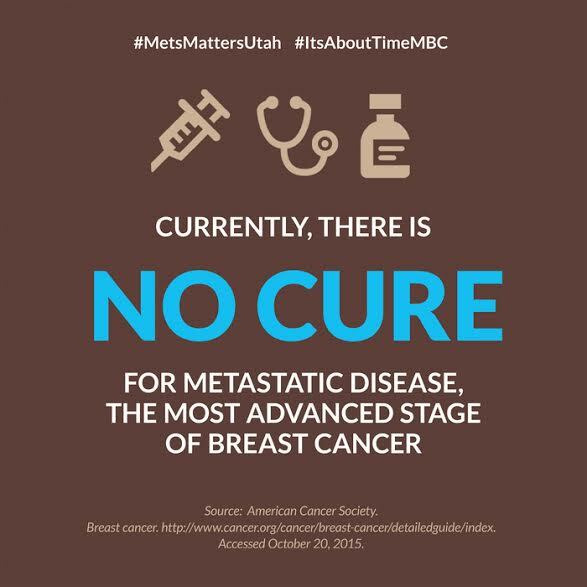 Well, when you are diagnosed with metastatic breast cancer, you are still actually counted against your initial diagnosis. So, we actually don’t have an exact count of how many people are actively living with stage IV breast cancer. 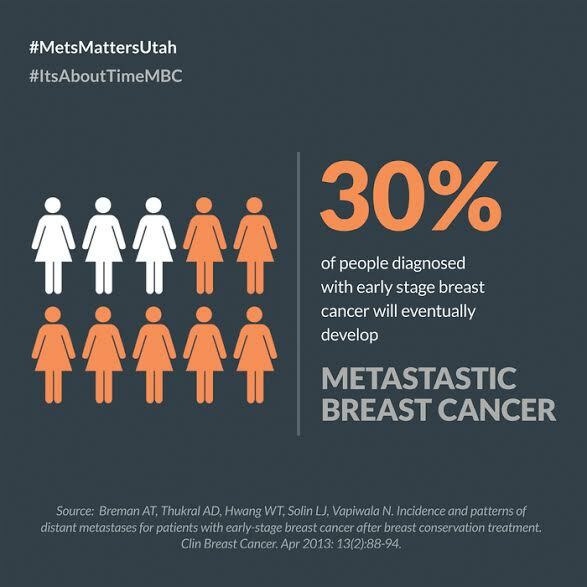 6-10% of people are initially diagnosed with metastatic breast cancer. 20-30% are people who caught it early, but they went on to become stage IV (sometimes months to 10+ years after their initial diagnosis). Catching it early does save lives, and it can be curable for many, but when 1/3 go on to die from the disease… there is a problem. I will never be “done” with treatment. When one treatment stops working I will move on to the next. If treatments run out, I will die. 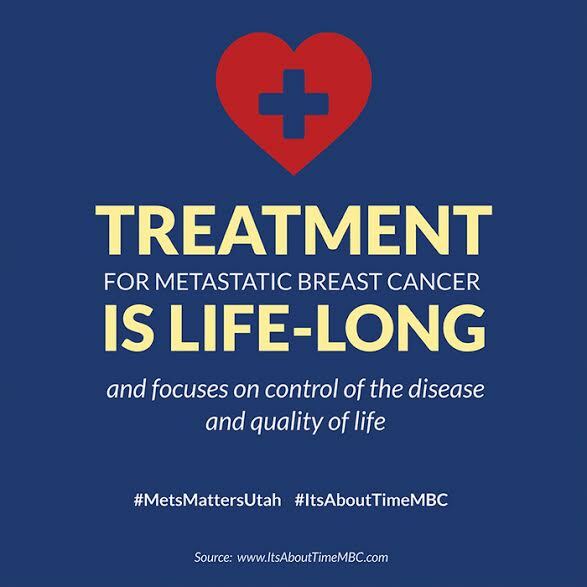 The more treatments available, the more time metastatic breast cancer patients have (there are 3 primary types of breast cancer, so treatment is dependent on that type). Metastatic breast cancer research funds treatment options that extend lives and hopefully one day it will fund finding a cure. There is no cure for stage IV breast cancer. It is considered treatable, because there are typically treatment options to try that can extend the patient’s life. It is a terminal disease. I know that I will someday die from breast cancer, or complications from it. Special thanks to Nevaeh Spa, Chatbooks, Park City Resort, Susan G. Komen and Cucina Deli for donating prizes and/or gift bag goodies. You guys are the bomb!